After the snowy winter it is a joy to welcome the spring weather, it is a busy time of year with plenty of jobs in the garden, replanting shrubs and tidying up generally. The garden is taking shape and it has been lovely to welcome guests to our home again after our winter break visiting family in Colombia. 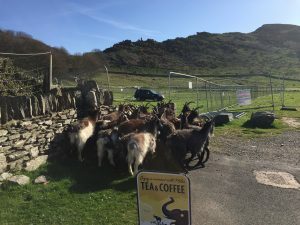 There are also other local jobs like herding the wild Goats in the Valley of Rocks for their spring check. 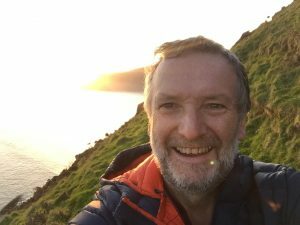 I stayed at home looking after our guests, but Ian was up bright and early and in the valley at 6.30am. 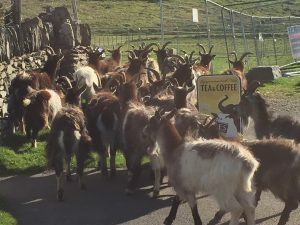 It was a stunning morning and a fun and useful opportunity for locals to get together, the bacon butties afterwards were worth all the chasing after goats! This year brings plenty of activity and things to do in the area, apart from just enjoying the stunning scenery and slow pace of life. Here are just a few events in the next couple of months. May 12th the Cliff Railway Day should be lots of fun: Victorian street games, Lynmouth beach clean, Music, Food, Crafts and much more. June 10th for the weekend Lynton and Lynmouth will once again offer the most stunning backdrop for some of the most interesting cars including super cars, classic, vintage and even tractors!! If beer and music are your thing The Fat Belly Craft Beer and Music Festival on the weekend of June 15th will be returning to The Cottage Inn in Lynbridge. Otherwise you can always rely on the Lynton cinema to provide an evenings entertainment. 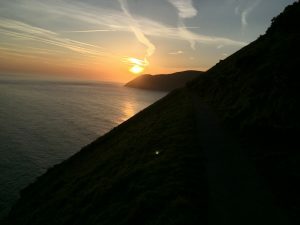 Lynton and Lynmouth are however just magical for a quiet getaway. I am pleased to say we continue to offer organic food and wild fish whenever possible. We are also endeavouring to reduce our plastic usage dramatically, whilst encouraging others to do the same. I am now involved with a local group involved with getting Plastic Free status for lovely Lynton and Lynmouth. Every little bit counts. I failed to enter enough stuff on our blog last year, things always seemed to get in the way. So this year I am aiming to enter something on the blog every few weeks, so watch this space!